But I’m working to remedy things. Last month I watched Zombieland. I’ve continued my education with modern cult classic 28 Days Later. Premise: Jim wakes up from a coma 28 days after a zombie outbreak (related to scientists and chimpanzee experiments on “rage”) has swept through London. After stumbling around in confusion, he links up with other survivors: the tough, no-nonsense Selena; the bad-joker Mark; young girl Hannah; and Mark, her father. They seek sanctuary, and Jim hardens from soft, confused coma patient to badass survivor. Zombie Characteristics: Zombies are technically infected with this “rage” virus. Outwardly, they pretty well match your basic zombie template, with perhaps less rotting flesh. They’re fast, or at least as fast as a human would be. They seem more inclined to rip and tear than actually eat, and there is no indication that they’re after brains in particular. They’re dumb but not totally moronic. The infection is spread by saliva (being bitten) and blood transmission. Apocalypse Level: Severe. Jim wakes up to a totally abandoned London. It’s pretty eerie. It looks like there may not be any other people at all, but he gets lucky. There aren’t hordes or roaming undead, but it doesn’t take many to be a real problem. Though the radio/TV services are all down, rumor has it that the zombie infection was not contained… perhaps the whole world is infected. There are, however, hints of other survivors. Gore Level: Medium. There really aren’t that many intense zombie attacks, but when they do show up, they can be visceral. Most of the “gore” and scare factor seems to come from the setting, and the rough film techniques. Isolation is the biggest danger here…after you’ve outrun the zombies. The worst parts may be the violence of the other survivors. Overall: It turns out the scariest parts of a zombie apocalypse may be the other survivors. The parts with the soldiers… were deeply unsettling to me. I mean, they’re supposed to be, but I found it more upsetting perhaps than was intended. That was the part that made me mad/scared, more than any of the creepy zombie parts. Zombies are scary and should be avoided, but trust for other survivors may be the hardest thing to come by in the apocalypse. Women, bring your Tasers and pepperspray when the zombies start rising up. But I can see why 28 Days Later got so much attention. I’m grateful that the creators allowed a speck of hope at the end (though I did watch the two alternative endings, for science). I wouldn’t call it “fun,” but it’s a great movie. Plus it introduced the world to Cillian Murphy, and for that we should all be grateful. For that, and its importance in zombie lore, I give this movie 4 juicy, blood-splattery brains! Need more zombies? 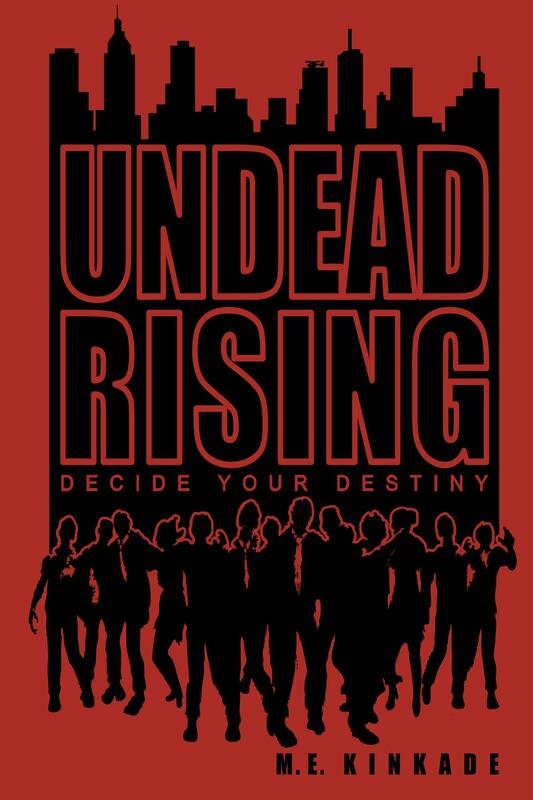 Go buy Undead Rising: Decide Your Destiny, available in print and on Kindle. Your choices shape the story! When you die in the book, sometimes you rise again as a zombie, unlocking new adventures. I typically exclusively review books, but…I’m gonna make an exception for Zombies, Run! Yeah, it’s an app, but it’s an app that tells a story — it just also happens to teach you how to get in shape and motivates you to run. It turns out, someone yelling “zombies, run!” in your ear is powerful motivation to get running. Zombies, Run! is an app for iPhone/iPod and Android devices. 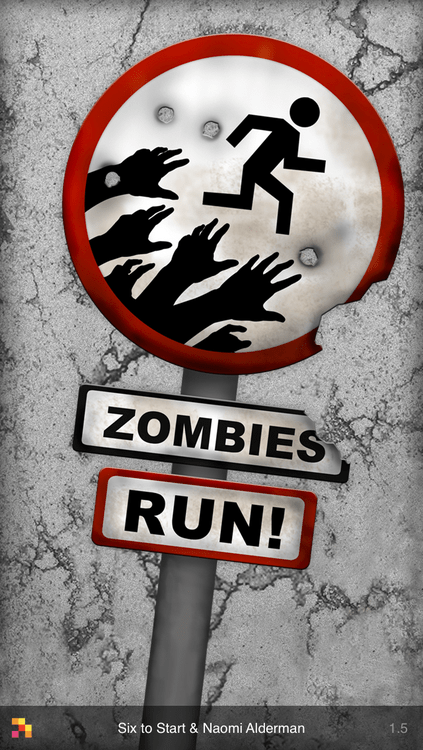 I, being a complete non-runner and couch-potato enthusiast, just finished with the beginner level, Zombies, Run! 5K Training. When I bought it, it was $2.99 — the best $2.99 I’ve ever spent. Basically, it’s a interactive story, in that the voices in your head(phones) will tell you to do things and you’re expected to actually do them. In participating, you unlock more of the story. It’s great motivation if you a) like zombies, b) like British accents, c) have no idea how to run and d) are bored by normal workouts. Zombies, Run! 5K Training begins when your helicopter crash-lands outside one of the few remaining human settlements. You’ve got to shuffle to the base before the zombs get you. From there, the doctor looks you over and breaks the news: everyone on the base has to earn their keep somehow. Luckily (or, unfortunately, depending on perspective) a slot among the runners has just opened up. Over the next 8 weeks, you will train 3x a week with the doctor until you’re in prime getting-supplies-and-fleeing-from-zombies condition. Fun, yeah? It’s great. Zombies, Run! 5K Training has action, adventure, romance, tragedy, mystery and tons of humor. It’s so good, I started having dreams that the base needed me on the days I wasn’t running. I hate having to skip a day because I want to know what’s going to happen next. If you think you have even an inkling that you might like learning how to run while hearing a zombie story, download it. Right now. You won’t regret it. Now, because I was a total newbie to all things running, I screwed up a couple of times. I’ve made notes that might help someone else. Learn from my mistakes, people! Don’t try to run when the temperature is over 105 degrees. I didn’t finish the program in 2 months, as scheduled, because Texas summers are so hot you feel like dying every time you inhale. I had to take a break for a few weeks to let things cool down, totally throwing off my momentum. Buy some cheap athletic clothes. When I first started, I had the attitude “I’m just going to sweat in it, who cares what it looks like?” Well, it turns out that stuff made for running is actually more comfortable to run in. Who knew, right? Besides, if you only have one shirt, you are not going to want to put it on by the third workout after it’s been twice christened by sweat. Buy yourself some shirts. Don’t run on uneven paths.Another mistake that delayed my workout–in trying to hide from the painfully scorching sun, I once switched my jogging path to the unpaved, but far shadier, one nearby. Turns out your ankles aren’t supposed to move horizontally when you step down. I was limping for weeks. Don’t do it, kids. Buy yourself a case so you don’t have to hold anything. The one time I had to hold my phone while I ran was the most stressful sucktastic thing ever. Don’t do it. Besides, you’ll get your sweat all over it. It’s not worth it. It’ll be great, seriously. I feel so much stronger than I did before I started, and I have more energy, too. I can’t recommend this app enough. My grandmother is the perennial thrift store shopper, and periodically she finds something wonderful and weird. This time, I was the recipient of her bounty: my very own Gorgeously Gruesome Zombies kit! But it combined two awesome things! Crafting + zombies = fun, right? So, for your viewing pleasure, my very own DIY zombie, in step-by-step process. Second, read the section on the “zombie kid” and discover it doesn’t include all the supplies you’ll need. Be annoyed but grateful you have a ridiculous assortment of scrap/craft supplies. Third, trace templates from back of the book and then pin to felt. Fourth: Cut out clothing and body parts. Feel ghoulish. Fifth: Build your little Frankenstein’s monster body with the help of craft glue. He’s a spiffy chap. Sixth: Sew monster’s front to his back. Be annoyed that he’s apparently wearing body paint clothes as his back is flesh-colored (grey). Add some blood to his stumpy arm. 7: Tell your zombie to stuff it. 8: Make a face. Ignore weird instructions to apply gross eyeball after head is complete and do it now because it makes way more sense. Be squicked out by the dangly eyeball. Love your zombie even more. 9: Sew him up. 10: Make sure he has a fat head. 11: Make a hat! Wish you also had a dashing red top hat of your very own. Be jealous of your zombie creation. 12: Attach head to body. Just kidding. Don’t add electricity to your zombie. It won’t work, anyway. They’re undead by nature. Do store your zombie in a safe place to keep your cotton-stuffed creation away from your BRAIIIINS…. In my last post, I talked about the real-life preppers who kinda sorta maybe believe the zombie thing is real. This guy probably doesn’t, but he provides a cute look at why the zombie apocalypse works as a good trope. Also, he’s just sorta silly. 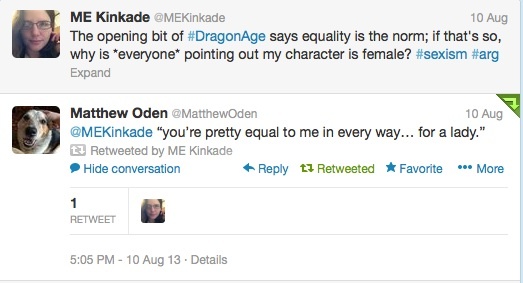 And I approve of that.